The annual PROJECT: ALOFT STAR 2018 competition returns and singer-songwriters across Asia Pacific are invited to submit their original compositions from 26 June to 31 July 2018 to compete for the chance to record and digitally release their single through Universal Music Group. PROJECT: ALOFT STAR is joint partnership between Marriott International’s Aloft Hotels and Universal Music Group and Brands (UMGB), the brand strategy division of Universal Music Group (UMG). The countries are in five clusters spanning eleven markets: Australia, Greater China, India, Southeast Asia (Indonesia, Malaysia, Singapore and Thailand) and South Korea. UMG will select one finalist from each cluster for an all-expenses paid trip to Seoul in South Korea to battle it out in the grand finale to be held at Aloft Seoul Myeongdong on 20 September 2018. Each finalist will receive 100,000 Rewards points which can be redeemed for stays at participating Marriott International hotels around the world as well as other rewards. 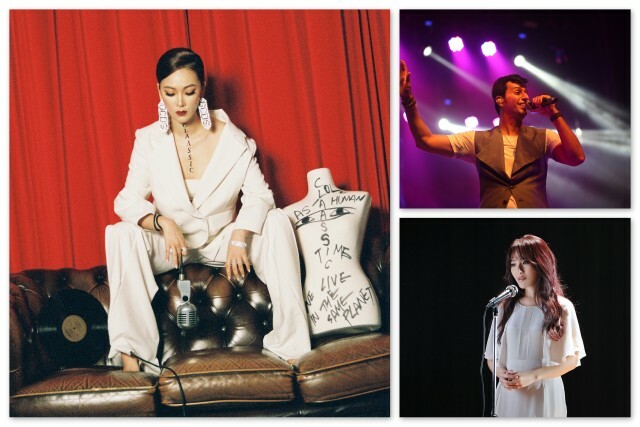 This year’s mentors include Indian singer and composer Salim Merchant, whose scores have appeared in 100 Bollywood films; award-winning Greater China singer and actress Rachel Liang; South Korean R&B performing artist SAAY; and Australian radio presenter Alex Dyson. A public vote will open from 3 to 19 September 2018. Three lucky voters who predict the winner and provide a reason why they picked them will stand a chance to win 50,000 Rewards Points. loft Hotels has been an incubator for emerging musical talent for a decade. All Aloft Hotels around the world host regular live music evenings in their W XYZ bars with local up-and-coming talent as part of the brand’s Live At Aloft Hotels music program. Aloft Hotels are in thriving music destinations, welcoming touring musicians with special discounted artist rates, the opportunity to use the W XYZ bar as a performance space for free, and a musicians’ guide featuring everything from where to dine late-night after a gig, the best nearby affordable recording studio, to where to purchase guitar strings, and more to hit the right note for each stay.